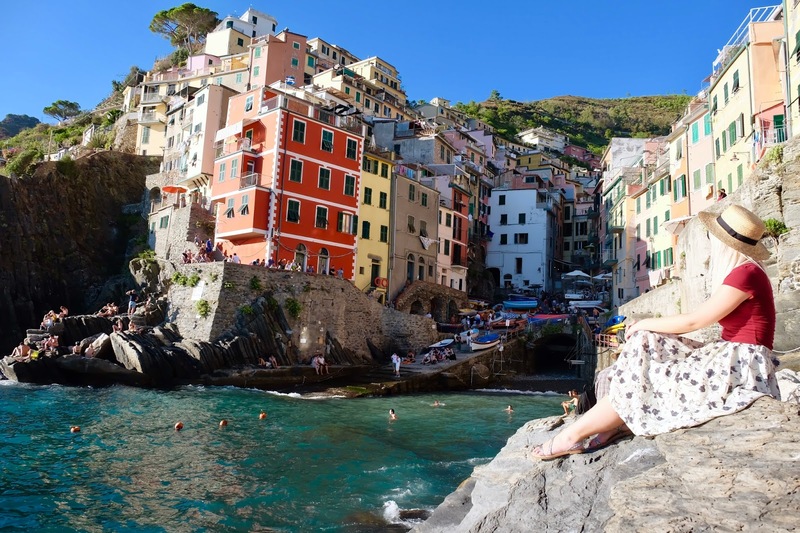 Did you know you can reach Cinque Terre easily by train from Milano? Did you know that it’s the perfect weekend destination? Well now you do J. These cute little towns each have their own charm! It’s pretty easy to get from one to the other with a 5 minutes train ride that doesn't cost much either. A single ticket is 4 euros, however you can buy a hop on/hop off day pass for 16 euros if you plan on visiting more a day, which is more than doable. There is also a trail that passes through all five towns, but most of the time it is closed, only just a small portion of it being open. 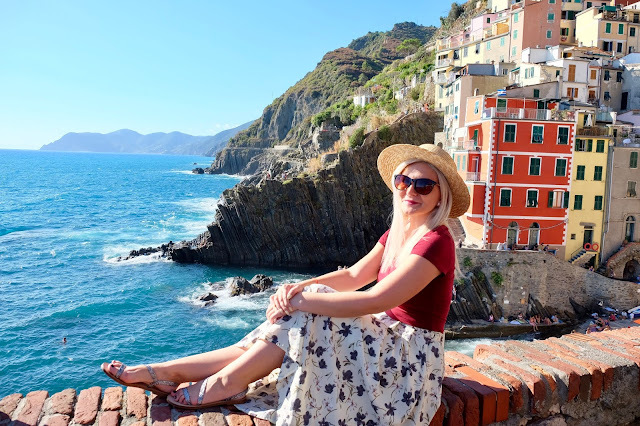 Accommodation can be pretty sparse and expensive in Cinque Terre, but cheaper options can be found in La Spezia which is only 10 minutes away by train from the nearest Cinque Terre town, Riomaggiore. This town is as cute as it can get! The colorful buildings are all crammed together in the port giving it a unique vibe. 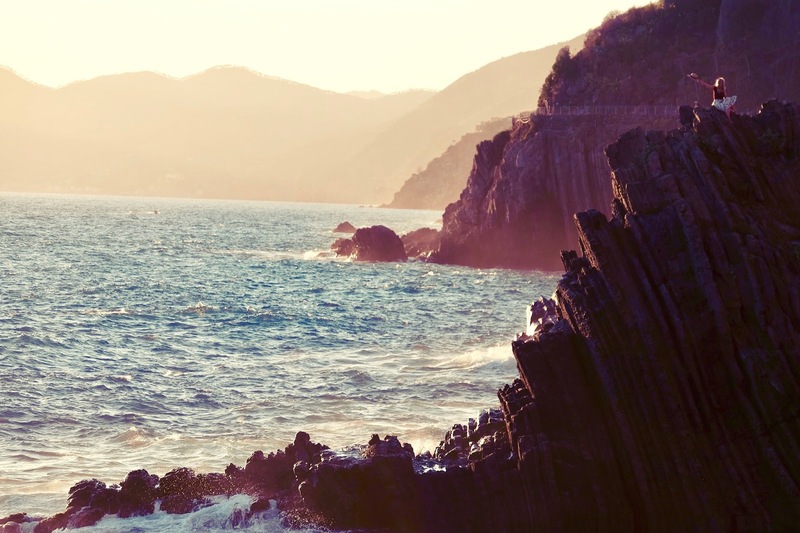 Have you seen postcards or wallpapers from Cinque Terre? Well...most likely the pictures have been taken here! Also do you like focaccia? Of course you do, who doesn't? Then you must try the olive one at La Cambusa. You really cannot miss this place, it's on the main street towards the port. To get to Corniglia you have to climb 365 steps but it ain't as bad as it sounds. This town seems to be like the ugly sister of the five, but with a charming personality that you get to discover by roaming its narrow streets. 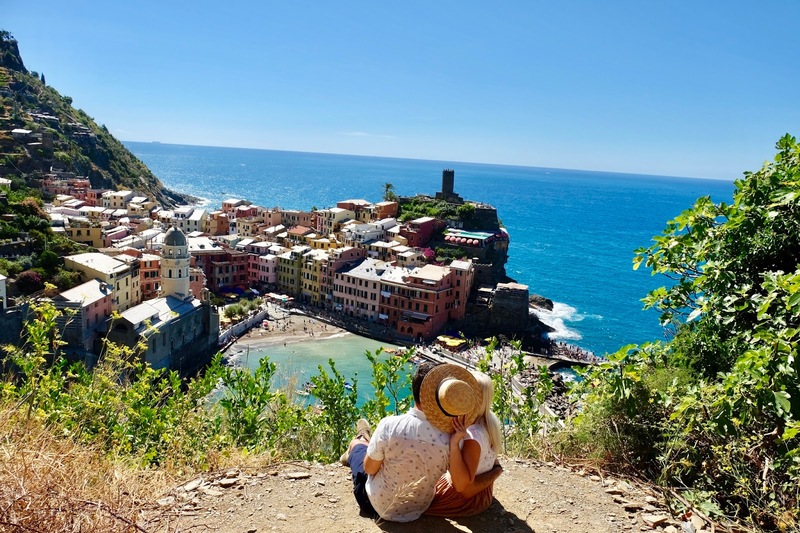 One of our favourites was definitely Vernazza! It has the cutest narrow streets in Cinque Terre and not to mention the view from above that will leave you breathless! There is a fee of 7 euros if you want to take the hike from Vernazza to Monterosso, but this fee is included in the day pass I mentioned above. 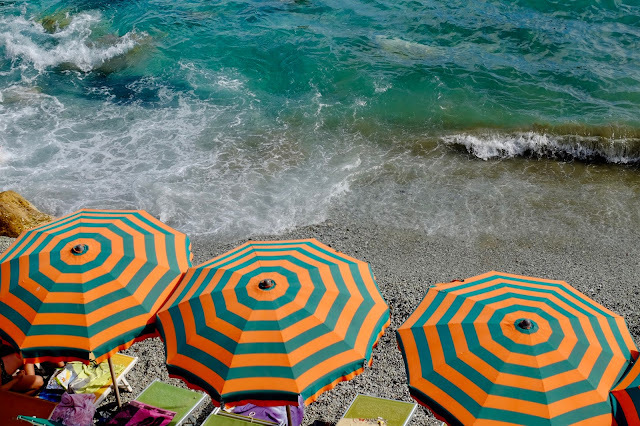 Monterosso is more of a classic beach town. It has a lot of restaurants and cafes and it's the ideal place to relax after roaming around Cinque Terre. 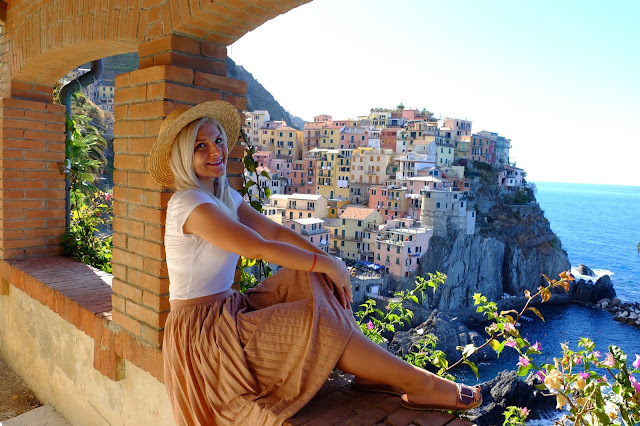 To sum up...La vita e bella in Cinque Terre! WOW, what a magical place. 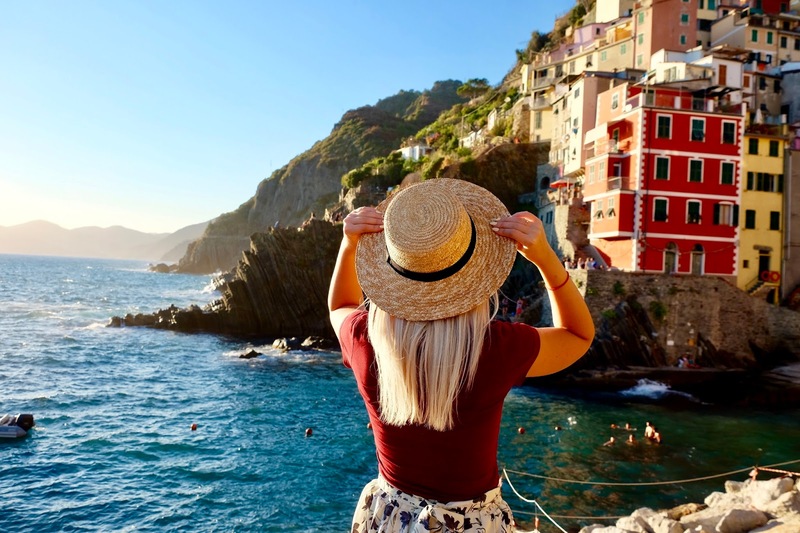 Cinque terre is on the top of my travel bucket list. Lovely photos! This place is definitely on my bucket list! Hello, was the path between the towns open? I am planing to go in two weeks and want to know if I can hike between them? Hi Ella! While we were there, in the middle of August, only the path between Monterosso and Vernazza was open. We used the train to get from one to another. Italy one of the beautiful country. 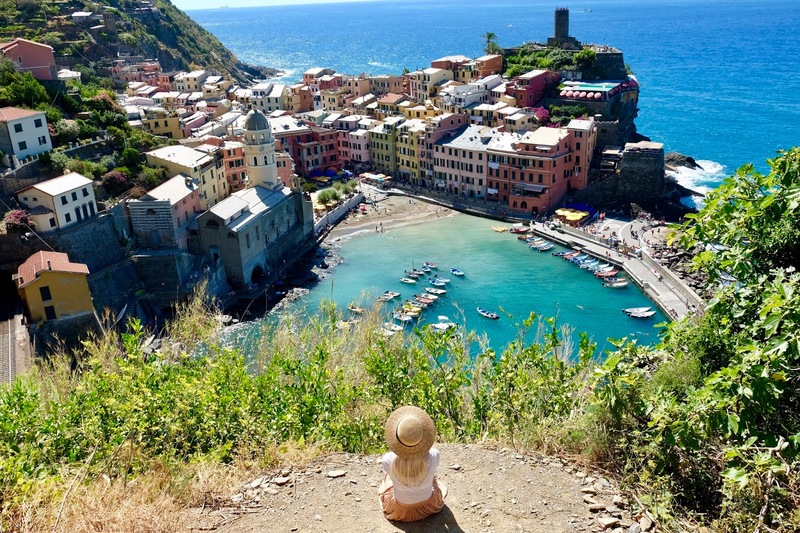 I like that for its beautiful structure and monuments and beautiful building specially of Vernazza.